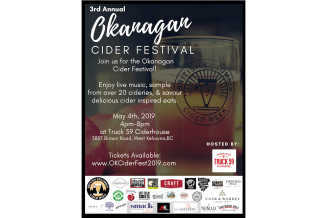 Truck 59 is West Kelowna’s only Ciderhouse. The property features a working cider-apple orchard, production facility, tasting room and picnic area for visitors and guests. Truck 59 creates the best dang cider you've ever slung a lip over.